EDMONTON - The actor who portrays a fictional serial killer on the popular TV show "Dexter" says its horrifying to think that a convicted murderer may have taken some inspiration from his character. Michael C. Hall was a guest on the CBC arts program Q earlier this week for an interview ahead of the show's Season 7 finale that airs this weekend. Host Jian Ghomeshi brought up the case of Mark Twitchell, who was convicted in 2011 of luring, murdering and dismembering an Edmonton man. 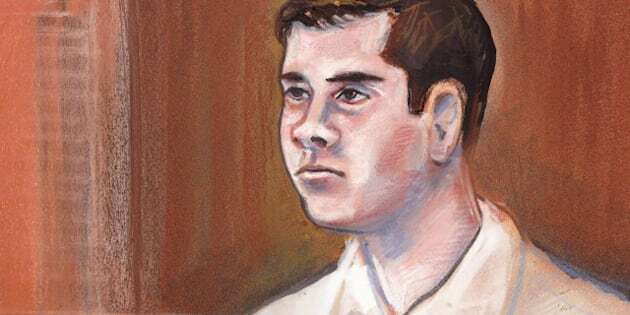 Twitchell's headline-grabbing trial heard how he had a fascination with Hall's character, Dexter Morgan, who works by day as a police blood spatter analyst, but murders in the name of vigilante justice by night. Hall was asked if he considered the impact his show has had on popular culture. "All I can say to that is, it's horrifying to entertain the notion that something you did inspired that," Hall said. "I immediately found myself saying, 'Well, you know, he would have found something else to inspire him,' but I don't know. "To be perfectly honest, it's a troubling thing to consider." Court heard how Twitchell, a devoted "Star Wars" fan and amateur film director, followed his own movie script in killing and dismembering Johnny Altinger. Altinger thought he was going to meet a woman from the Internet when he showed up at a garage rented by the killer. Instead, he was ambushed by Twitchell, clobbered and stabbed in a kill room similar to the ones Dexter uses on the show. Twitchell wrote down everything in a diary, which he claimed in court was fiction. He said he was trying to convince Altinger to take part in a publicity stunt for a slasher movie Twitchell had recently shot, but the two got into a fight. Hall said he wouldn't stop making "Dexter" because someone became fixated on its violence. "I don't think it is a primer on serial killing or it advocates the lifestyle. I would hope that people's appreciation was more than some sort of fetishization with the kill scenes," he said. "I wouldn't stop making 'Dexter' because someone was fascinated by it only in that way. I try to tell myself that their fixated nature would have done it one way or the other. "But it seems that 'Dexter' had something to do with it. It's horrifying."